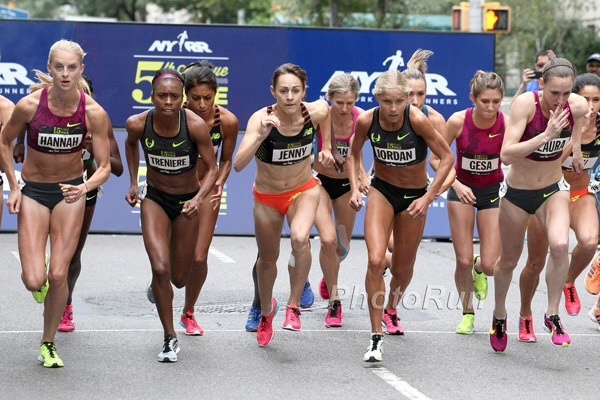 In the first part of this topic we discussed the evolution of running and I highlighted some of newer aspects of our sport, which takes us beyond the typical run-for-health-or-exercise reasons to that of fun and competition. 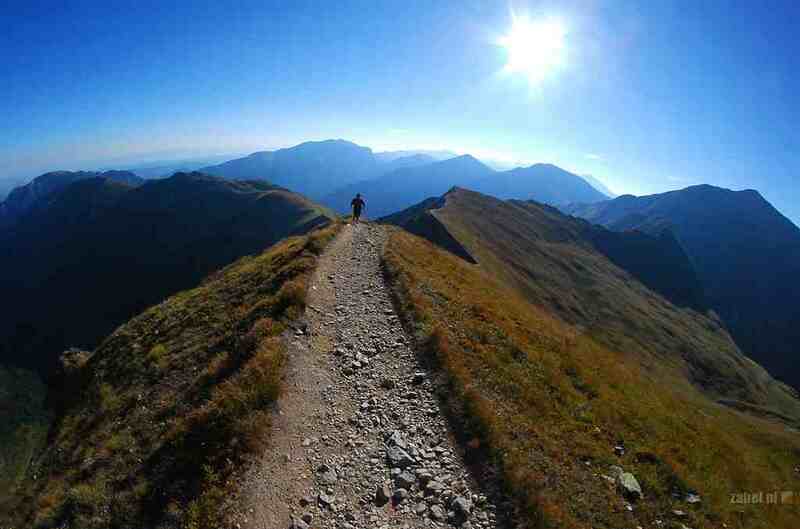 We explored this in the context of ultra running events for those of us who wanted to expand our horizons and push our limits; no longer accepting of the status quo or what it means to be the average runner. I find this new push for endurance racing or running quite interesting, first because it indicates the presence of a relentless and demanding drive in our personalities that mirrors that of the competitive athlete: supremely confident and highly driven to achieve one’s personal best, and second, because now I’m curious about the extent of our drive for self-actualization in running: what does this mean for the future of running and how far can our desire for more take us? While those questions are sure to set us a’wondering, it behooves us to consider how far we’ve progressed since the days of Pheidippides (our marathon namesake) and to see the evolution of running as the natural progression of a sport of passion, which brings us to my first point: the personality of the runner who determines that a marathon is no longer enough. I can safely say I identify since I know what it is to achieve your first marathon – the anticlimax of a build up of complex emotions: demanding physical and mental preparedness coupled with extreme psychological and physical adjustments. The finish line is now associated with time, medal and the next event. Crazy right. I recall completing my first marathon, was it only last year – deep in the bellies of pain – and there I was thinking of the next one, which was to be less than two months away, and the next, a month later. Now I’m at crossroads, considering my first ultra event next year. Sure I have set other goals along the way, like completing the World Marathon Majors and running some of the most amazing and toughest courses, however, now I have a new goal: completing a triathlon next year while vaguely in the distance I can detect the shaping up of an iron man. I have demanded of my mind to stop there though I suspect there are a lot more ideas buzzing around. In this instance, I find the challenge to be one of keeping focus on one goal at a time and not splitting oneself into various parts attempting to achieve different things. But it’s always right there on the periphery of my mind; what’s next, where to run, how can I get faster, be stronger, do better next time? For there is never a doubt that there will be a next time only a matter of when. Many runners share this crazy passion, always on the look out for the next big race or event. Whether it’s cross-country, over trails and mountains, across ice, over rocks, through streams and in valleys, over five hours or a couple of days, I will go so far as to say we thrive on it; our aphrodisiac if you will – what stimulates and motivates us to being better people and better athletes. If you’ve ever faced the question of – why do you do it – then you know deep down that it’s as simple as, why not. The training, sacrifice, dedication, and various daily deprivations, that’s the hard part. Then again, it comes with the guarantee of an utter sense of fulfillment upon completion of each big one. So indeed, why not. 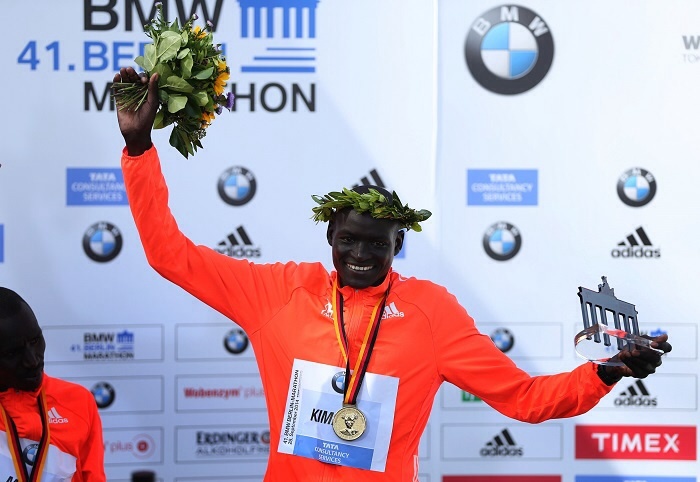 The Berlin Marathon, one of six in the World Marathon Major series, wrapped up on Sunday with a spectacular win by Kenya’s Dennis Kimetto on the fastest course in the world. Turns out being a champion requires a little more than your best, it requires your all. I think that’s what Kimetto delivered on Sunday as he ran his way to breaking a world record and now owing the title of the only one to ever run a marathon under 2:03. I’m still all WOW..I mean 2:02:57 is a super big deal! Hats and cloaks and everything off to Kimetto; a well deserved and superbly executed run. I couldn’t do it better myself..lol..not even close. Emmanuel Mutai’s second place of 2:03:13 hardly seemed to matter in the wake of Kimetto’s victory but was a valiant effort nonetheless, though he will hardly get the props for it. Ethiopia’s Abera Kuma came in third with 2:05:56. On the women’s end, we had Ethiopians: Tirfi Tsegaye running first place with 2:20:18 and Fayse Tadese taking second with 2:20:27. USA’s own Shalange Flanagan followed with 2:21:14. Good for her. In a field dominated by African greatness, she held her own and was able to come in the top three women..way to go..an amazing feat in and of itself. There’s something here for us, if we take the time to sift through the stats, when we get past the buzz of records and rightful pride and glory of the runners; there’s something there. For those of us who care to look past the fame and fortune of the élite runner, we will find passion, diligence, humility, sacrifice and belief. How many of us dedicate ourselves to running, or any field of choice for that matter, with those qualities? Yet how many of us want the pride and the glory and the medal. If we learn anything at all, it is that when we see runners like Kimetto up there on the world stage, it wasn’t just running that got him there. It took all the qualities we described before and a lot of heart and then some to live his dream. Compare Kimetto before 2010 with Kimetto today, that of a subsistence farmer in Kapngetuny, Kenya; a relative unknown, fast forward today; marathon world record holder. There is a story there, one that inspires not just us but I’m sure the country of Kenya and the nation of Africa. A seed of hope has been planted in the heart of every Kenyan boy and girl..they can dream, have a right to dream. Because if Dennis Kimetto can do it, so can they. The difference, as I see it, is not so much in the opportunity as in character. Growing up, I would often hear ” you have to want it badly enough.” I think so, in fact I believe so. Some children have it made and live the life of the idealistic – dream it and it will happen, that’s the life of the privileged. Then there are those who are faced with reality from early on – you want it, you have to work hard for it. Yet there are others still, who will hardly have even that as a choice – so depraved are their circumstances. Life is most often not an equal opportunity employer, we are often called to play the hand we’re dealt and a lot of the times it is far from easy but I still say – you have to want it enough. For me, I do not think of myself too much of a dedicated runner. I think I like to run most times and if I have a goal..say, a marathon..I’ll train for it; run 5 times a week, try to eat well, do cross training, long runs, some group training for speed and pace etc. But at the end of it, I am no where close to the training and dedication put out by the likes of Kimetto or Flanagan or Kara or any of those élite runners who run daily, hundreds of miles per week. Me, I’m doing awesome if I have a 60/70 mile week. Sure I understand it’s their job and so that has a lot to do with it but still.. If you didn’t like or care about your job, chances are you wouldn’t have it right. Make no mistake, I’m a runner. I’m no Flanagan but I appreciate the sport, I advocate its benefits and I enjoy it most times. I am not a committed, 365-days-a-year runner, but I run over two-thirds of that so I think I qualify for runner status. I may never know the sacrifice of Kimetto but I know the sacrifices I live with to achieve my running dreams; the hard work, the aches and pains, the financial cost, the level of belief in myself and my dream, the passion to achieve.. I know what those things mean to me and I believe it is a story that each runner can tell. For my part, I hope to be telling it, one day soon, from Berlin.